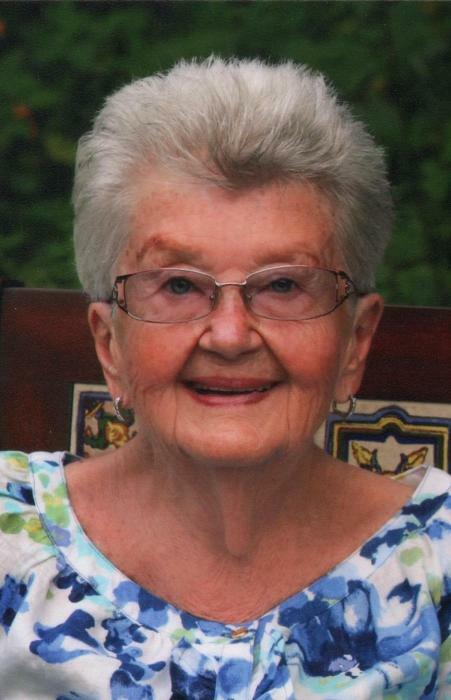 Violet Theresa (Tensa Ozug)Anctil, 89, lifelong resident of Fall River and widow of Roger Anctil, passed on Sunday, January 27, 2019 at Charlton Memorial Hospital from a brief illness surrounded by family. Violet was born on August 7, 1929 in East Stroudsburg, PA as the youngest of three siblings. Her parents, Maciej and Anna (Ozug) Tensa, were born in Poland and immigrated to the United States. She was an orphan at the age of two and was taken in by the Ozug family in Fall River. She married her husband Roger in 1950 and four children were born from this union. She worked at Globe Mfg. and was a member of I.LG.W.U. After retiring, she worked at grocery stores passing out coupons and various product samples. She later worked at Citizens For Citizens. She was a member of the former St.William's Church (now Holy Trinity). In her free time, she enjoyed sewing, cooking, being with family, and going for long walks. She is known for her quick witted sayings and polish phrases. Violet had a heart of gold and always saw the good. Violet will also be fondly remembered by her four grandchildren, Timothy Whiting and his wife Tara (Wilga) Whiting, Nathan Whiting, Jenna Lynn Anctil and Ryan Anctil and his wife Katlyn (Griffin) Anctil; as well as her two great-grandchildren, Tyler and Taylin Whiting and nieces and nephews. She was the sister of the late Adam Tencza and Edward Tensa. A Funeral Mass will be held at 11:00 A.M. on Wednesday 01/30/19 at Holy Trinity Church, Stafford Rd. Fall River. Meet directly at church. Burial, Notre Dame Cemetery. Visitation Tuesday, 01/29/19 from 6:00 P.M. to 8:00 P.M at Auclair Funeral Home, 690 S.Main St. Fall River. In lieu of flowers, donations may be made to Alzheimers Assn. 309 Waverley Oaks Rd.